UK Judge defines Segway as "motor vehicle"
A British Judge has fined a Yorkshire man for riding his Segway on a pavement, in a landmark trial that could well set a precedent for use of personal transportation vehicles in the UK. Unemployed 51-year-old factory worker Phillip Coates' prosecution has attracted interest from celebrity Segway users, including ex-Lib Dem MP Lembit Opik, who turned up at the court to offer his support. Coates was seen using his Segway on a pavement in Pontefract Road, Barnsley, earlier last year by a civilian police inquiry officer and subsequently hauled up in front of the local magistrates' court. 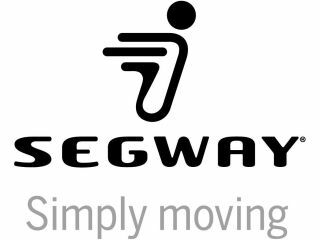 The Segway user has been prosecuted under Section 72 of the Highways Act 1835 and fined £75, plus £250 costs and a £15 victim surcharge. Judge Rosenberg said that Coates "wilfully rode a motor vehicle, namely a Segway, upon a footpath or causeway by the side of the road, made or set apart for the use or accommodation of foot passengers." The district judge added: "If I am satisfied, from all the evidence presented, that a reasonable person was to say 'Yes, the Segway might well be used on a road', then, applying the test, the vehicle is intended or adapted for such use. "In my judgement, the conclusion must be that general use on the roads is to be contemplated. Although this is by no means an easy matter to determine, I am inexorably driven to the conclusion that I am satisfied to the required standard that the Segway is a motor vehicle and the allegation is therefore proved." Coates is currently considering an appeal. TechRadar has contacted Segway's UK distributors for further comment on this story.